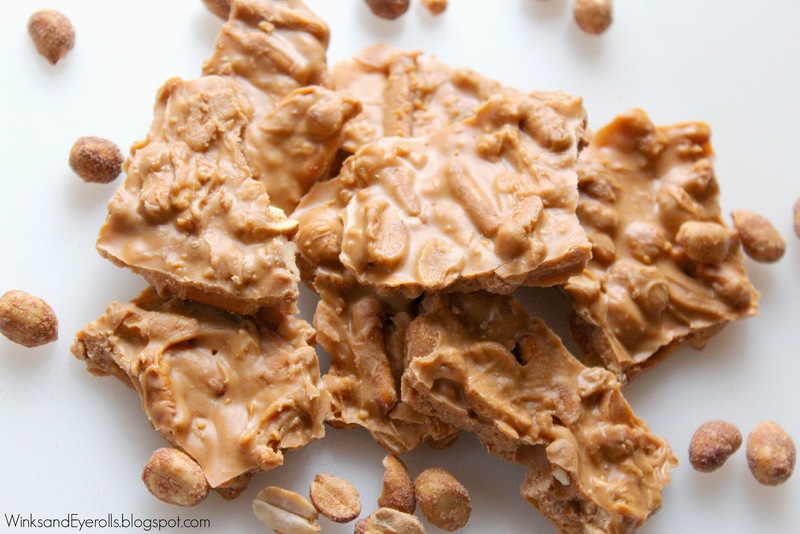 We've come in contact with other peanut brittle but there's just something about this one. Others are extremely chewy, like almost break your teeth crunchy, and this one is more of a creamy yet crunchy goodness. It might be something you need to taste to be able to relate. In a large sauce pan on low to medium heat, melt down half the bag of peanut butter and butterscotch chips. Stirring every few seconds. Be careful not to put the heat on too high or the chips will burn and not melt. Stir in the remaining half bags of peanut butter chips and butterscotch. Once majority of the chips are melted add in the 3 table spoons of creamy peanut butter, mix together. Then add in the pretzels and peanuts. Stirring all ingredients together. After you have stirred them together, on a baking sheet lined with wax paper, pour mixture onto the middle of the sheet and spread evenly. It should cover the whole sheet and look something like this...leave it to harden in a cool place for an hour. 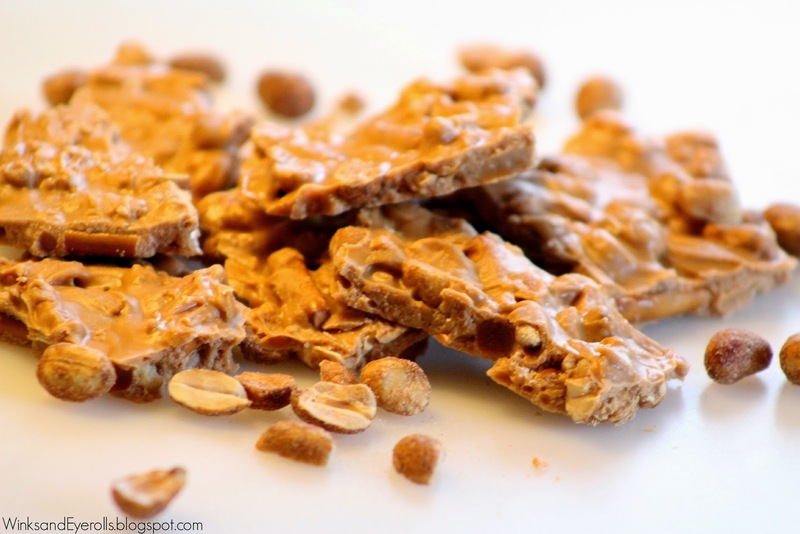 After brittle has fully hardened break into desired pieces and enjoy!